Well, Lonny's done it again. They've given me a serious case of apartment envy. 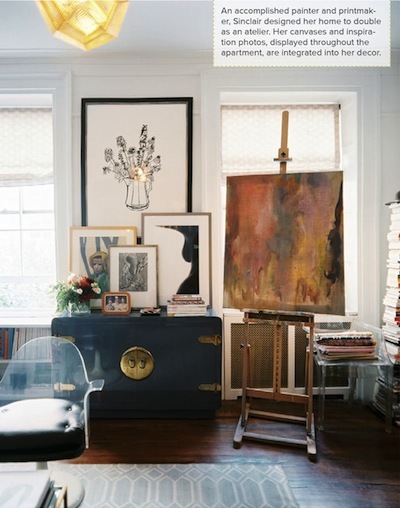 This time I fell in love with the home of the talented abstract artist Mary Nelson Sinclair. Furnished with a mix of vintage finds and family antiques her living room is a cozy bundle of perfection. 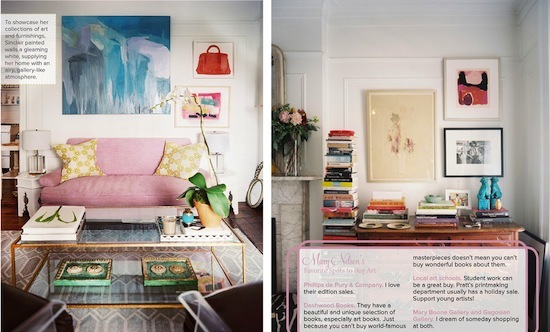 That pink settee and the aqua/blue rug are to die for. And I haven't even mentioned her fabulous art collection featuring her own work and the talents of her contemporaries. I'd move right in. Would you? Read more about Mary and see more images from her apartment in Lonny's October issue.